Fred Reichheld's 2006 book The Ultimate Question - that question being, "How likely is it that you would recommend this company to a friend or colleague?" - challenged the conventional wisdom of customer satisfaction programs. It coined the terms 'bad profits' and 'good profits' and pointed to a faster, much more accurate way of gauging customers' real loyalty to a company, introducing a quantitative measure (the Net Promoter Score) for establishing a baseline and effectively tracking changes going forward. Richard Owen and Laura Brooks are co-developers, along with Reichheld, of the methodology behind answering the question. 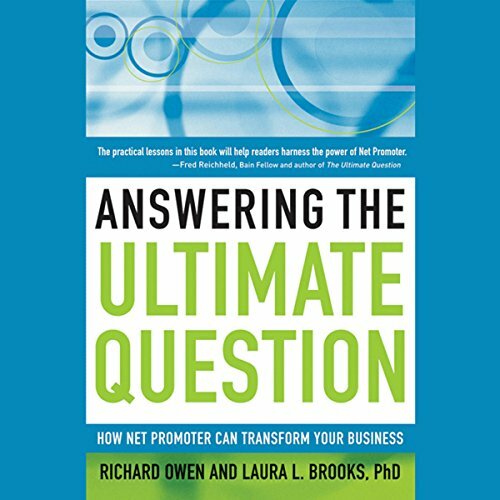 In this book, Owen and Brooks tell how based on a variety of real case studies' to actually embed Net Promoter discipline in organizations of all types. View More In Consumer Behavior.